We now know the poor animal performance AND the persistence of that early fescue was due to the presence of a fungus inside the plant (the endophyte; ‘endo’ for in plus ‘phyte’ for plant). When the endophyte is present, that plant is said to be ‘infected.’ And when infected plants grow, the fungus produces compounds that result in the poor animal performance. These compounds are known as alkaloids, and ergovaline is the one used to assess fescue toxicity in the laboratory. Early surveys in Kentucky found the majority of fescue did contain the endophyte of tall fescue. The scope of this problem led to massive amounts of research about the endophyte of tall fescue and how to mitigate its effect on livestock across the fescue belt. The following is a synopsis of our current understanding of this pasture grass and the toxic endophyte. The endophyte grows inside the plant, between the cells, but is never seen externally. There are no visual indicators to tell if tall fescue is infected. The endophyte is physically present in the stem bases, but the toxic compounds spread throughout the plant. The least toxic portion of the plant is the green, leafy tissue. The most toxic portion is the seed, with stem bases being intermediate. Managing to keep pastures leafy, not overgrazing, and preventing seedhead production are all effective strategies to manage the negative effects of the tall fescue endophyte. Ergovaline levels (the indicator of fescue toxicity) fluctuate seasonally and are highly variable year to year. Concentrations are highest in May/June and September/October. Toxin levels drop after the fescue experiences the cold temperatures of late fall and winter. In one Central Kentucky field, ergovaline numbers dropped 80% from October to December. Ergovaline levels are lower in hay than the standing forage from which it was made (another very positive thing). The toxic alkaloids cause constriction of the external blood vessels in cattle (vaso-constriction) leading to heat stress. Cattle eat less, gain less and breed less. The negative economic effects of infected tall fescue are significant, totally millions annually across the Southeast. 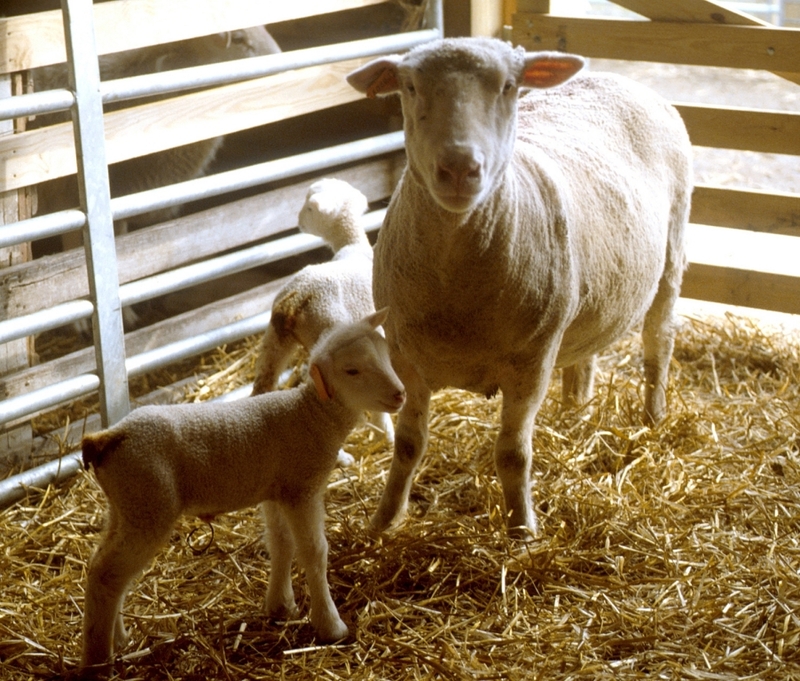 Most Kentucky pastures contain tall fescue, but fields are seldom 100% tall fescue. The presence of other species buffer the effects of the endophyte – a very good thing. The diversity of our pastures and our milder summers mean that we suffer somewhat less than states to the south. However, toxic tall fescue is the single biggest agronomic drag on animal performance in Kentucky and must be mitigated for economic viability. Interseeding with clovers is the number one way to offset the effect of the endophyte of tall fescue. Clovers improve the protein and energy content of the pasture and will contribute nitrogen to the system from plant decomposition or from the manure and urine deposited from [ruminants] consuming clover. Recent research by the USDA-ARS forage research unit showed that clover, especially red clover, will directly reduce the vaso-constriction in cattle consuming infected fescue. Fortunately, red clover is extremely well adapted and relatively easy to establish into existing tall fescue pastures. The endophyte is only spread by infected seed. Endophyte-free varieties are available. Early endophyte-free tall fescue varieties (such as Kentucky’s ‘Johnstone’) did not prove as persistent as Kentucky 31 with the endophyte. Grazing tolerant varieties of endophyte free tall fescue are available. 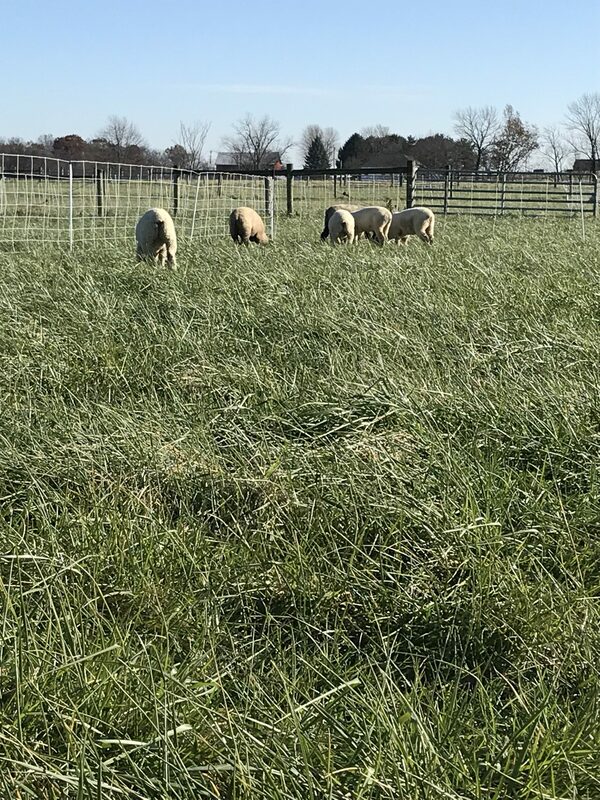 For a full report on their persistence under heavy grazing, consult University of Kentucky Progress Report PR-735, Cool-Season Grass Grazing Tolerance Report. The Kentucky 31 brand put our state on the tall fescue map worldwide. The endophyte present in those early seedlots contributed to its persistence but also its current limitations on pasture performance. But just when you think you understand the toxic endophyte of tall fescue, along comes a non-toxic endophyte. Really. But that is a subject for the next column. See you then.